What is the story behind “Enfolding”? How do you find inspiration? Is there a particular place or state of mind that gets the creativity flowing? What does your songwriting process look like? When songwriting, do you tend toward lyrics or music initially? What’s your favourite concert of all time? “Ugh. I can’t even. I love live music. Who doesn’t? I probably have more concerts I regret NOT seeing that might make a good list. What is you go-to karaoke song? Tara Williamson‘s new song, “Enfolding” hit the airwaves on Friday, March 29th. Check it out below and tune in to hear it on ELMNT FM. 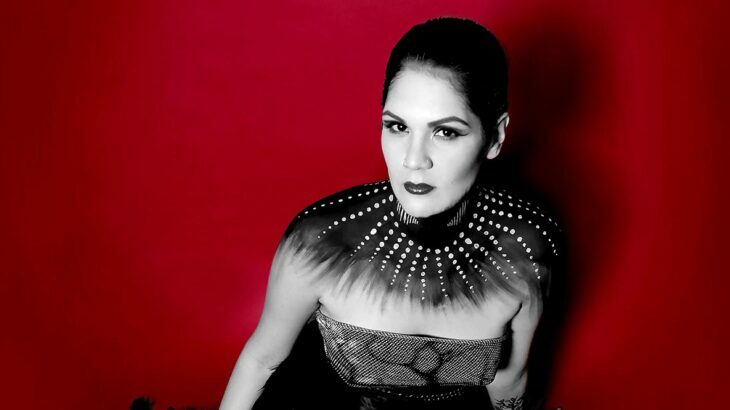 Pop APTN, daphe odjig, enfolding, get in your elmnt, in your elmnt, indigenous artist, inspiration, karaoke, new music, new single, pop, tara williamson. permalink.